There are a few occasions when I see a recipe on a blog and I know that I need to make it immediately. 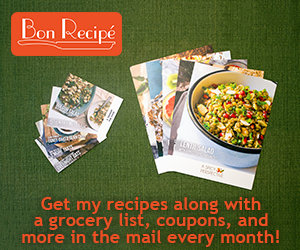 Of course, I bookmark several new recipes each week, but I never have time to try all of them. Unsurprisingly, it was a chocolate and peanut butter recipe that made the “must-make-this-now” cut. When I saw this cake on chocolate and carrots, I wanted to stick my fork through the screen. Realizing that the cake was made with black beans, I was even more intrigued. I’ve actually made black bean brownies before, but they were dense and fudgy. This cake, on the other hand, looked light and, well, cakey. Last week, I had some time off from work and took advantage of the opportunity to try this wonderful dessert. Links to the recipe components for this Chocolate Black Bean Cake with Peanut Butter Cream Cheese Frosting and Chocolate Glaze are below. Mix batter until everything is well combined, batter will be just like regular chocolate cake batter! The black bean cake was light, moist and perfectly complemented by the rich chocolate glaze and creamy peanut butter frosting. It was lower in calories than a typical cake, but still satisfying enough that I was able to enjoy one slice and walk away (a slight miracle for me). I can’t wait to make it again! What was the last recipe you saw and had to make immediately? This is amazing timing. I made a chickpea chocolate cake last weekend. And another DC blogger made chickpea-chocolate-chip cookies this weekend. Now we are contemplating chickpea-quinoa dream bars and chickpea chocolate frosting. All of these things are totally healthy. I think the fiber does it. No? Where have I been on the chickpea baked goods?! My son is a peanut butter fanatic and he would go nuts over this incredible looking cake. It sounds amazing and is making my mouth water just looking at the pictures. You’re right – that does look like a “must-make”. I’m so intrigued by the black bean chocolate posts I’ve been seeing everywhere. This chocolate peanut butter recipe definitely does look like a must make! This looks great! I made chocolate chickpea cupcakes and they were pretty light and fluffy as well. I wonder if the black bean version tastes different. I guess I’ll just have to make this! Yum! I love bbb (black bean brownies) and yours look amazing! Oh my lord. I’m salivating right now. Chocolate + Pb in cake form? Yes please! peanut butter cream cheese frosting. YES PLEASE. i heard TJ’s now has a peanut butter cream cheese. must try! I saw that! They have a strawberry version also. The black beans mean this cake is health food, right? This counts as a vegetable with dinner, right? I’m going with that. :-) Looks fantastic. Black beans?? That is crazy! I can’t wait to try this! WOW-that looks amazing. I’d make the glaze with Almond Butter instead of PB, though ;) I saw the sprinkles pancakes on HowSweetItIs and I want to make those soon! I am so crazy impressed that you made a CAKE out of black beans! I’ve done the brownie thing before and it was a total inedible disaster. But this? This looks like a masterpiece. I’m going to have to try this out….the recipe is very intriguing. This cake has my name written all over it. Love it! I’ve made sub-par black bean brownies in the past, and was pretty disappointed in them. This cake, however, couldn’t possibly be anything other than perfection! Gotta love chocolate and peanut butter. What a pretty cake! You did a really nice job with the step by step and making it look so great! that looks so good! i’ll admit i’ve never tried a dessert with black bean in it though!